Great news from Australia as we received an email from Aidan Davis, Communications Director at Bowls Australia. The World Cup will be streaming the Semi Finals and the Finals live from Warrilla Australia. Our BC Bowler Pricilla Westlake is in the hunt right now and has a chance to get through to the playoffs. See the email below that was sent. 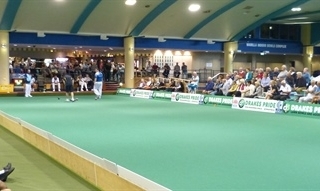 Canada last won this tournament in 2006, when Shirley Choi shocked the Lawn Bowling world winning the World Cup title against England at the same venue. Best of luck to both Pricilla and Vince Mai on their remaining games. The World Cup semi-finals and finals will be live streamed on March 22 and 23, at 10.00am, 12.45pm and 3.15pm AEDT.